Blekko is a stealth search engine which aims to change the search game by being fairly transparent with ranking data. Since they will start out with limited search marketshare, they aren’t risking much in sharing data that other search engines have traditionally been rather secretive about. Further, they allow customization of results via what they call slashtags that allow you to create vertical search engines. The emphasis on openness helped make DMOZ a success, and if past performance is any indication of future performance, Blekko will be a success as well. They are currently in beta, so you might need to follow them on Twitter or friend them on Facebook to get an invite, but here is a review of their menu of great SEO research features. Want to know why particular sites rank? Blekko offers background ranking data. You can then drill down for more background ranking data. (Sorry for the small view, click here for a larger image). And you can drill down further for even more background ranking data. (click here for a larger image). Page by page and sitewide duplicate content analysis is offered. You can look for answers to key questions such as: Who is copying my content? Can I try to build links from some of these sources? Who is duplicating my content wholesale? Are these sites linking to my site? What are the most popular pages on their site? How quickly does the authority fall off? What sites are associated with a particular AdSense id? What are some of the newest pages created on a site? You could use this to track savvy publishers & sites like content mills to see what topics they are creating new content targeting. How do different sites compare against each other in ranking profiles? Where is my site strong & where is it weak? What should I do to help round out my profile? If you are consistently stronger than competitors across the board & they are still outranking you then it might mean that you need to be more aggressive with link anchor text. 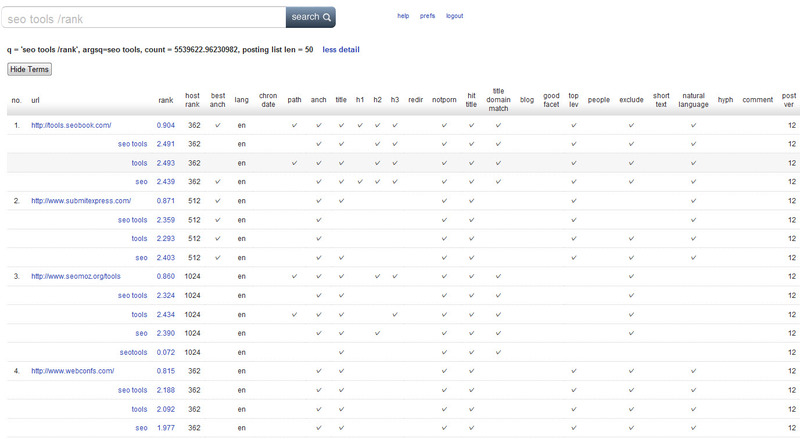 When you create a slashtag, you can sort the listed sites by domain authority. This can be helpful in finding some of the most popular sites within a category. What does their link anchor text breakdown look like? How aggressive are they with anchor text? How aggressive can I be before I potentially trip a filter? This line of thinking is also good to use when analyzing pages that have tripped a filter so you can sorta see where that line in the sand is. Look at the link diversity of a single page. Do they have an abnormally high percent of their backlinks from some weird foreign domains? What do the link profiles look like for some of the most legitimate quality top ranked pages? What should you do to mimic them? Track new links into a competing website.